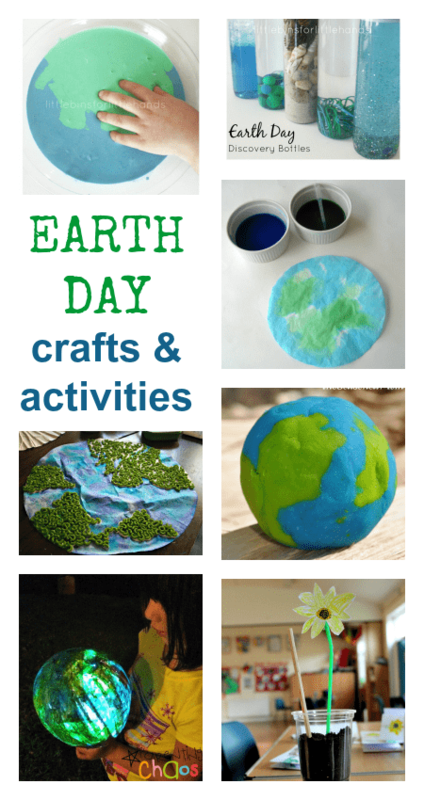 Use these fun and easy Earth Day activities and crafts for toddlers and preschoolers to celebrate Earth Day with your children. Here’s a super easy DIY craft recipe that shows you how to make clay (that’s actually more like an air-drying dough) and turn it in to some beautiful butterflies. 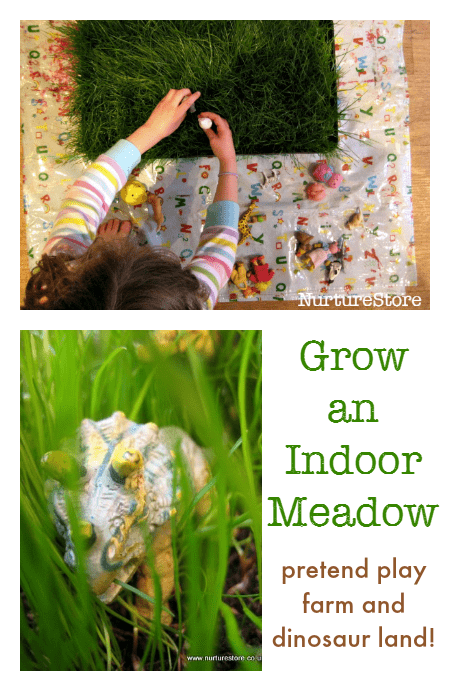 Earth day activities: grow a meadow indoors! 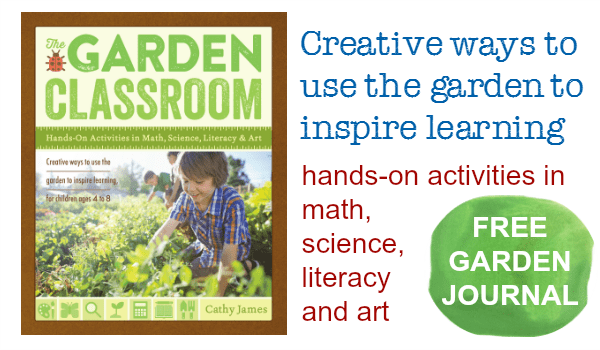 Are you planning any Earth Day activities on April 22nd? Celebrated around the world, Earth Day is a great time to pause and reflect the impact you, your kids and your family have on the earth. 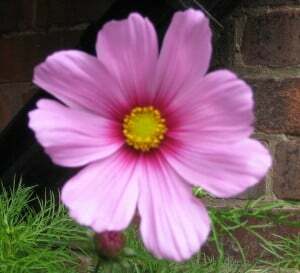 Are you celebrating Earth Day with your children this Friday 22nd April 2011? For environmentally-friendly, creative play we love to make junk models. We love using items from our craft box which otherwise would be thrown away – turning them into toys and extending the life of the materials. Here’s a showcase of our favourite upcycled junk models. If you have any more ideas you can share with us, please leave a link in the comments or on our Facebook page – we’re always looking for new inspiration and have a stack of boxes ready to go! 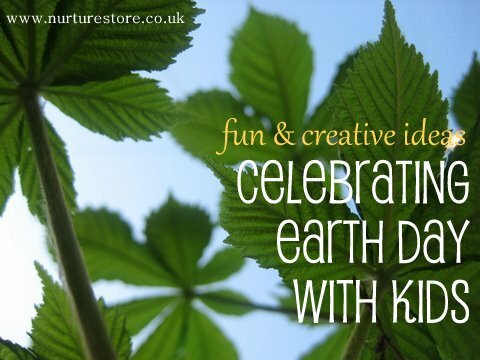 Are you celebrating Earth Day with your children this Friday 22nd April? 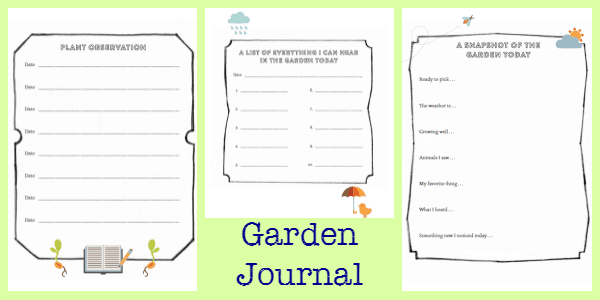 It’s a great opportunity to review your family life and see what changes you can make to go green. Here are some ideas for an eco-audit of your play. How many toys do you really need? 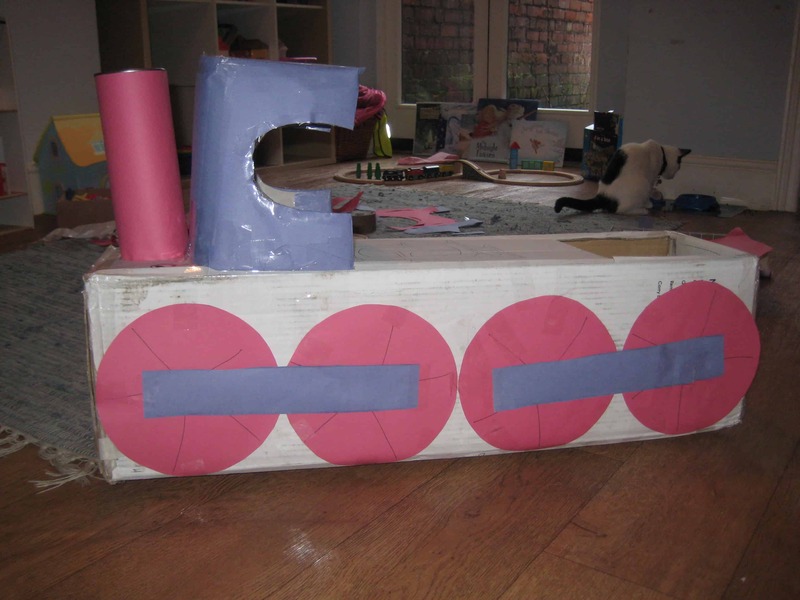 Instead of a house full of more and more plastic, concentrate on a small selection of ‘open-ended’ toys that can be used in lots of different ways: wooden blocks, stacking cups, small world people & animals. Borrow rather than buy new things. 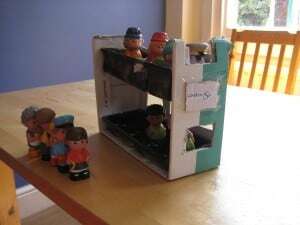 In addition to borrowing books from your local library how about borrowing from your nearest toy library too? The USA Toy Library Association or the National Association of Toy and Leisure Libraries in the UK can help you find your nearest branch. You could also start a toy swap amongst your friends to pass on items as your children grow or lose interest in particular toys. 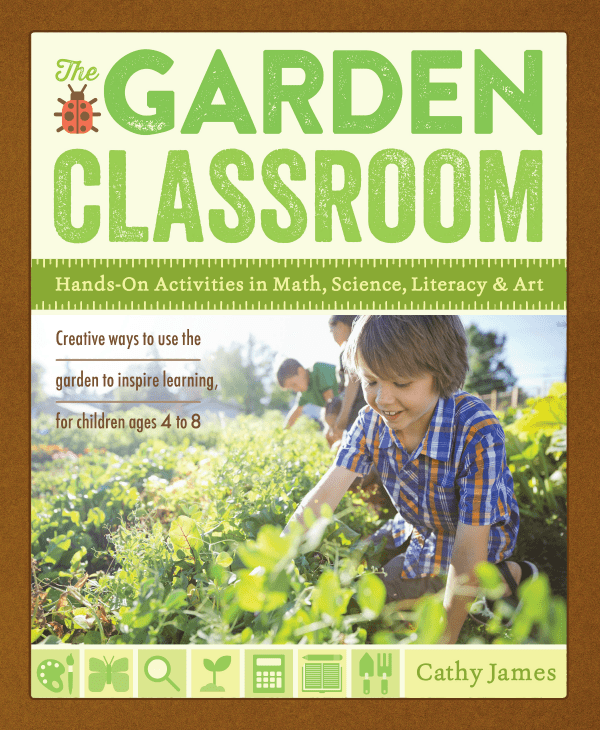 How about re-purposing items around the house and garden for your children to play with? 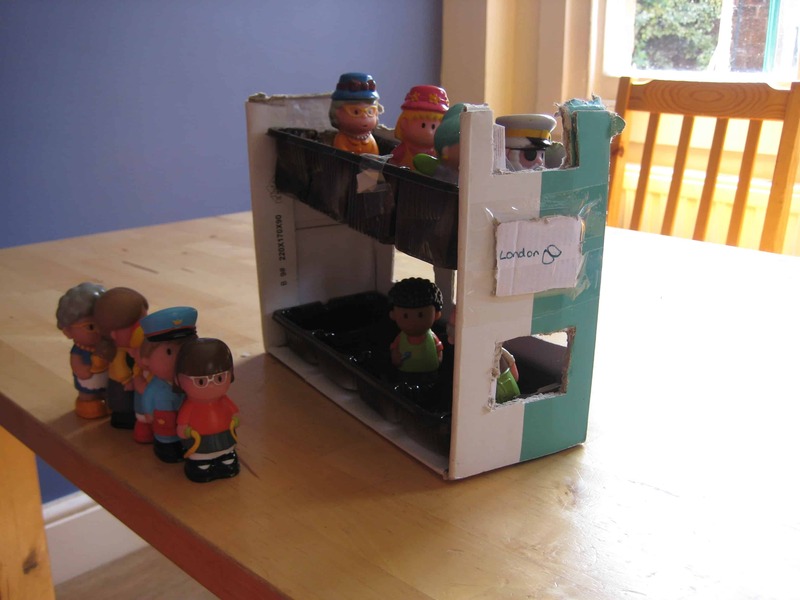 My girls love playing with clothes pegs, shoe boxes, fircones, pebbles and other un-toys… Zero airmiles, zero packaging, free and full of opportunities for creative play. 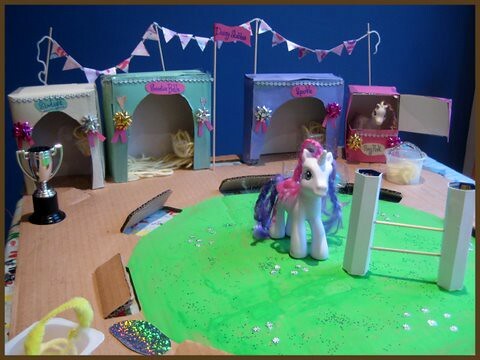 In the UK you could access Scrapstore, a charity which collects safe business waste for re-use as craft and play supplies. 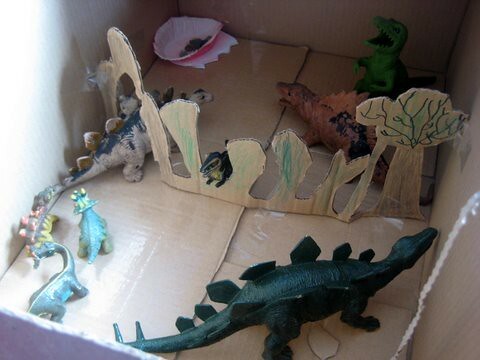 You can promote ‘going green’ in your children’s pretend play too. I love it when my girls are playing shops and I hear them saying ‘I don’t need a plastic bag thank you, I’ve brought my own’. 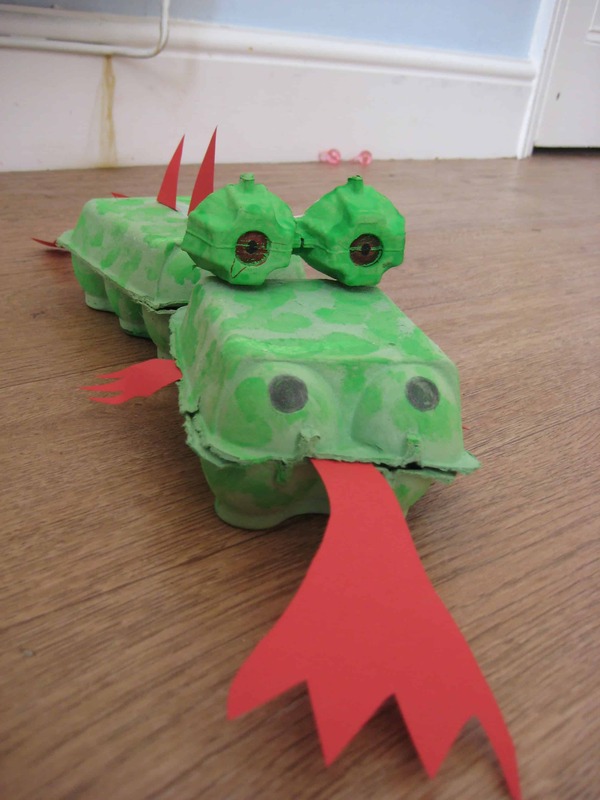 Saving yoghurt pots and egg boxes to make a craft box is an essential in a crafty home, and gives your household waste a second life. How about including tin foil, old wrapping paper and chocolate wrappers too. 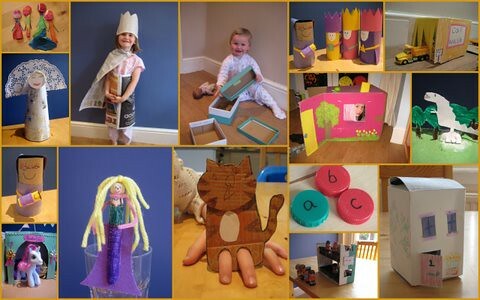 You can collect all the off-cut bits of paper and cardboard after a craft session and save them in a special ‘collage’ box to use in future projects instead of sweeping them straight into the bin. If you’re anything like us you’ll have a constant demand for paper to draw on. You can open up cereal boxes and use the reverse-side of letters instead of always buying new. What other things do you do to promote Earth-friendly play? I’d love to hear your ideas. April 22nd 2010 is the 40th anniversary of Earth Day and an excellent opportunity to give your home an eco-audit and ask yourself how environmentally-friendly is your play. Following the ‘reduce, re-use, recycle‘ mantra is an easy way to make simple and effective changes to create an eco-home. Here are some ideas you might like to try. 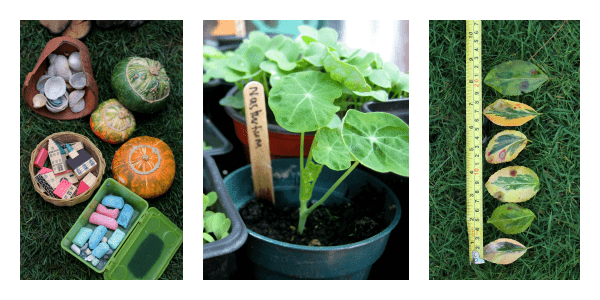 How about re-purposing items around the house and garden for your children to play with? 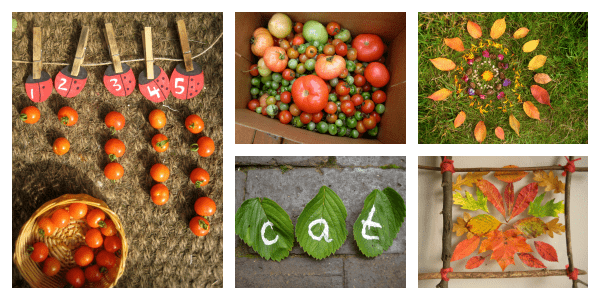 My girls love playing with pots and pans, fircones, sticks, pebbles, hats and scarves, blankets… Zero airmiles, zero packaging, free and full of opportunities for creative play.